Kinesis Dance Somatheatro invites you to celebrate International Day of Dance with a presentation of Pina Bausch’s, The Nelken Line. The Nelken Line Vancouver Project is lead by Kinesis Dance Artistic Director Paras Terezakis and performed by twenty dancers paired with twenty novice community performers. Conductor Tim Sars will lead the Vancouver Carnival Band in playing The Nelken Line theme, Louis Armstrong’s West End Blues. The choreographed piece will weave its way around the perimeter of Granville Island and be documented by an approved film crew. The footage will be shared internationally with the Tanztheater Wuppertal Foundation in Germany to become part of The Nelken Line Archive. This project came by the invitation of the Pina Bausch Foundation to the global dance community. 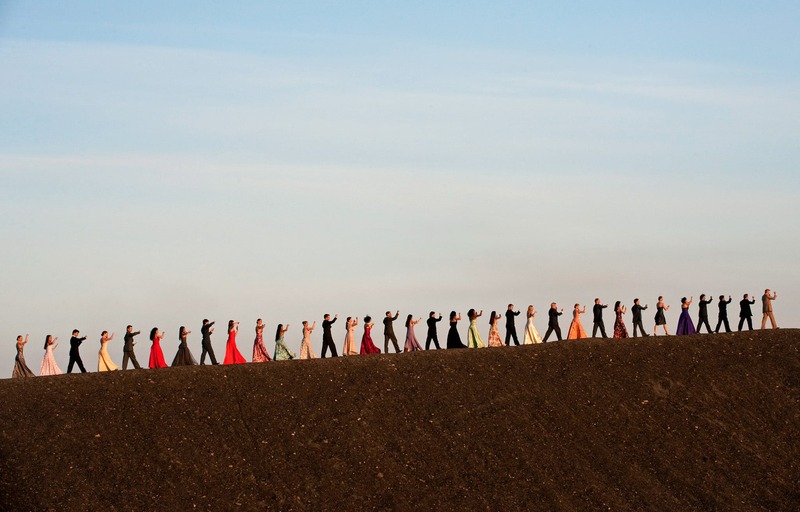 The Foundation developed this project as part of their mission to keep the choreographic legacy of Pina Bausch alive. Pina Bausch was the high priestess of dance theatre from the 1970’s until her death in 2009. The performance will start at False Creek Ferry Landing at 12pm and continue around the island perimeter, heading east.